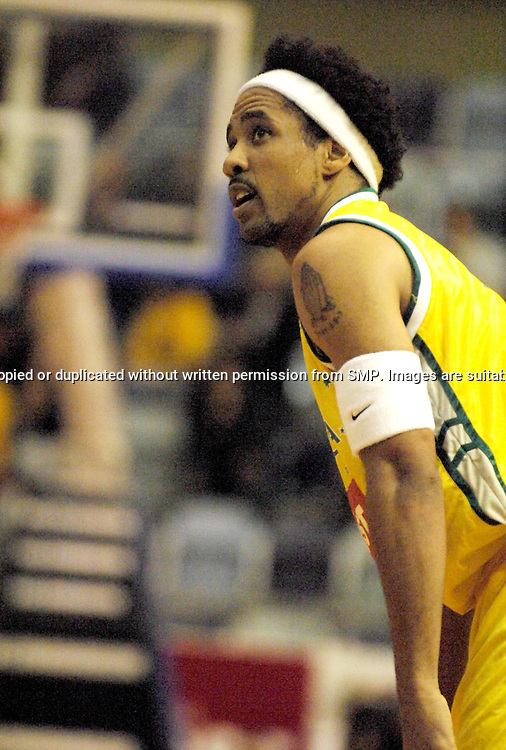 CJ Bruton from Australia during the Ramsay Shield, Australia Post Boomers v New Zealand, Game 2, 2008. Played at the State Netball & Hockey Centre. Australian Post Boomers defeated New Zealand. .Photo: Joel Strickland / SMP Images.Use information: This image is intended for Editorial use only (e.g. news or commentary, print or electronic). Any commercial or promotional use requires additional clearance. May not be copied or duplicated without written permission from SMP. Images are suitable for editorial use only.